As any successful entrepreneur will tell you marketing is a crucial phase in creating lasting brand name. Here are some tips to help you create a successful marketing strategy for your brand. Establish Suspense and Intrigue. The optimal time for this tool is before your product launch. People are curious by nature so if you give them a small tidbit they will latch on and follow your brand rather than another. Create Consistency. If the elements of your product are well thought out and flow well together your product will be like a well oiled machine heading toward big success. Just remember to be consistent and goal oriented with your brand. Have Persistence. Marketing a brand is no easy task. It involves a lot of hard work and the results may be slow coming at first. The key to not giving up and just throwing in the towel is to have persistence and to remind yourself why exactly you wish to be successful with your product. Be Catchy and Memorable. People are like parrots and if you provide them with a catchy brand they will most likely share it with everyone they meet because they are so excited about it. Instill Stickability. If you have established being catchy and memorable then this should come organically. 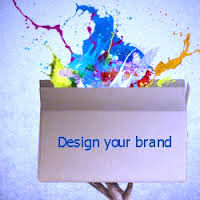 However that doesn’t mean that you shouldn’t work on pushing your brand to become the next big household name. Word of Mouth Marketing. This is a great way to pitch your product out. If people hear about you, feel that you are catchy, and then share your product with friends and family then you have successfully done the word of mouth marketing. Receptively Listen. Suggestions from your clients are how small brands can grow and will ensure they continue to support you and your brand. Clients will be more excited to purchase a product from you when they feel that you listened to their request and provided what they were looking for. Be Remarkable. Once your brand is gaining success you have to ensure that you are remarkable with your execution. If you promised something with your brand then it is imperative to deliver on it. Broken promises break or sour relationships with clients and will hurt you in the end. Be Your Brand. Simple as that. If you don’t believe in your product then why should others? You have to be confident and proud to market it to the world. If you follow these simple tips, your custom product will be well on its way to being promoted properly so that they don’t just end up sitting on the shelf collecting dust. Next Post Celebrate the new Iphone launch with Wordans custom printing!